Top Rated Top Reviewed Dealership in Beaverton Or. 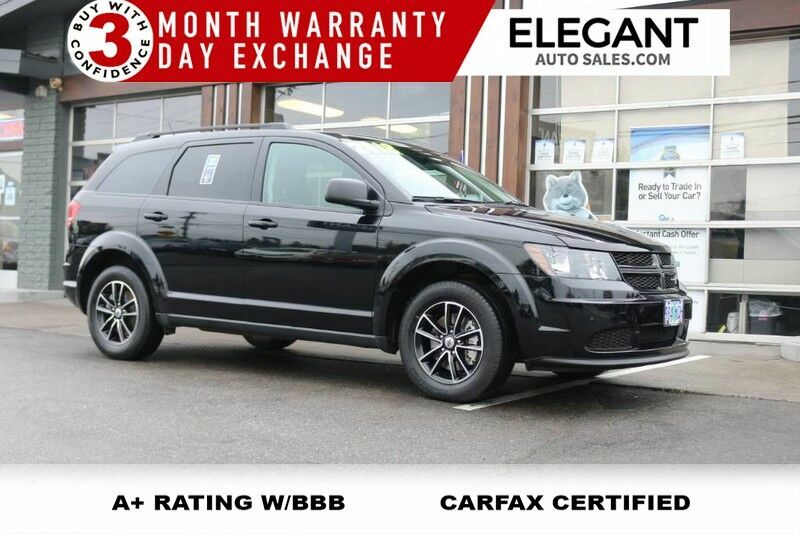 2018 Dodge Journey SE - 3rd Row, Keyless Entry W/ Push Start Ignition, All Power Options, AC, Cruise Control, Touch Screen AM/FM/CD Stereo W/ USB & Aux, Bluetooth Handsfree, Automatic Headlights, Dual Zone Climate Control W/ Rear Controls, Power Drivers Seat, Heated Mirrors, Roof Rack, Fog Lights, Alloy Wheels. 1 Owner, Locally Owned, Clean Carfax - No Accidents. Buy With Confidence! 3 Month Limited Warranty & 3 Day Exchange! Make it yours TODAY! Call/Text/Chat or Stop By!